Meet our new Unashamedly Bookish Recruits! Back in March this year, we hosted a contest to find a team of brilliant bookish bloggers to help us spread the word about our Purely Books parcels. We were inundated with amazing entries and so excited to discover lots of new blogs to follow. Thank you so much to everyone who took the time to enter and share their blogs with us. The YA blogger’s community is such a friendly and knowledgeable place and we are so happy to be sharing the news of our club with some new people. 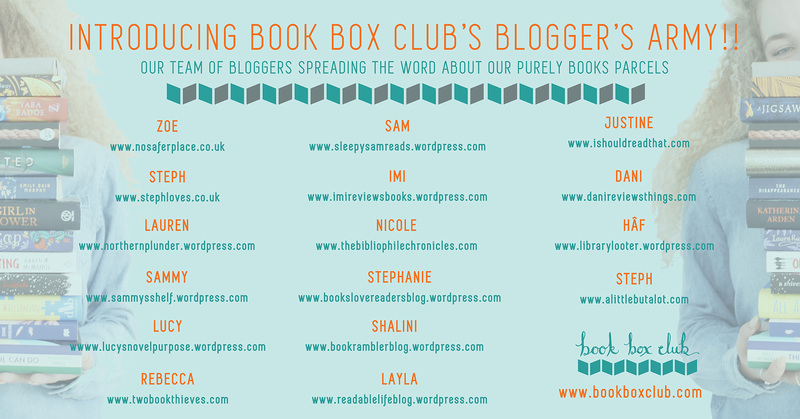 So without further ado, here are the sixteen super bloggers who we picked to join our Book Box Club Blogger’s Army. We’ll be sending each of these bookish bloggers one of our April Purely Books Parcels, so make sure you give their blogs a follow and stay tuned to hear about their Purely Books experience. If you’d like to join our bookish community and receive your own Purely Books (books and book group) or Book Box Club (books, goodies and book group) parcel in the post head over to our subscriptions page now and sign up for our May theme.